The Entrepreneurship column of the New York Times Business Section featured a story on Liz Powers, a Harvard sociology graduate who, along with her brother Spencer, founded ArtLifting, a for-profit, Boston-based start-up. Its mission: to enable "disenfranchised artists to sell their work, enhance self-esteem, and change their lives." 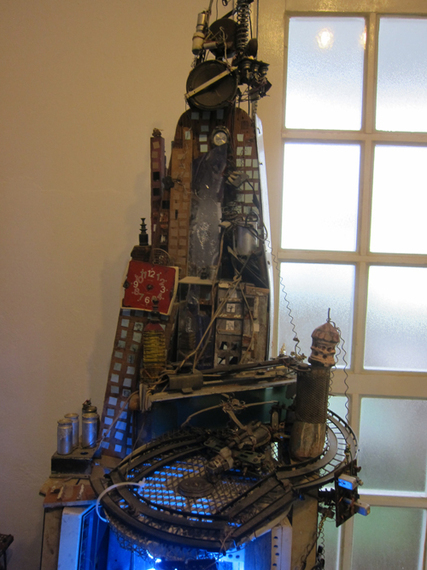 The story reminded me of my January 2016 interview with Cuban artist Samuel Riera whose Havana based home-studio focuses on art outside the mainstream, Art Brut and Outsider Art. Strongly influenced by Jean Dubuffet's concept of Art Brut--art made by outsiders with no formal training--Riera began to research the artwork of people with mental disabilities. "In Cuba, that meant people living in institutions but also people living with their families, at home in society." "Most psychiatrists in Cuba see the artwork of people with mental disabilities as a kind of art therapy," Riera said. "But we don't! We don't modify their art. We don't change their way of thinking. These people have the capacity to grow," he said. "They have an ability, not a disability." 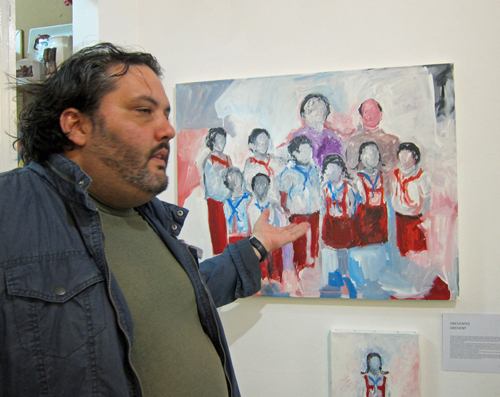 Riera, who once taught at the San Alejandro School of Art, also sells his own paintings in the gallery. Included in works on display were several paintings from a series called Obedientes, where there are no faces on the children. "Children here--in the educational system," he said critically, "have to swear in some ceremony, when they are about eight years old, that they will be like Che." 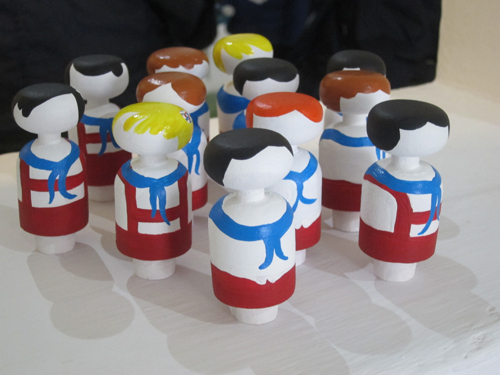 Groupings of Riera's painted, faceless wooden children, about three inches high, are displayed on a nearby ledge. Riera speaks passionately about the work of his several of his artists: Damian Valdes Dilla, a schizophrenic who lives at home. There's a video of Valdes at work with an English translation. In a side gallery, there are several of Valdes' extraordinary fold-out books which sell for $500 and his city-like constructions made out of found objects. 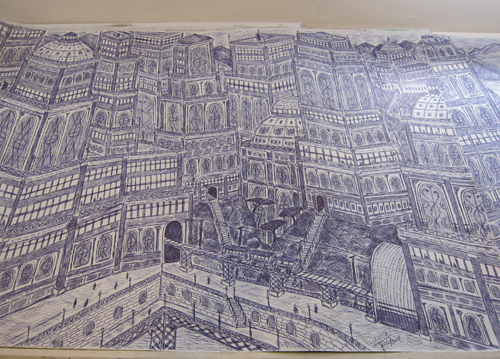 Nearby, is the work of another artist, Boris Santamaria, who once was homeless and who lived on the street for years. Santamaria paints people with blood streaming down their faces. 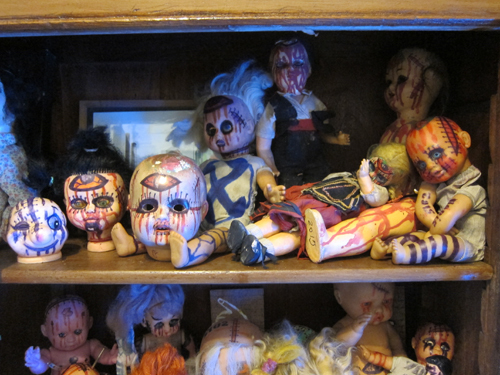 Crowded on a shelf in the gallery, are his dolls, blood running down their heads. 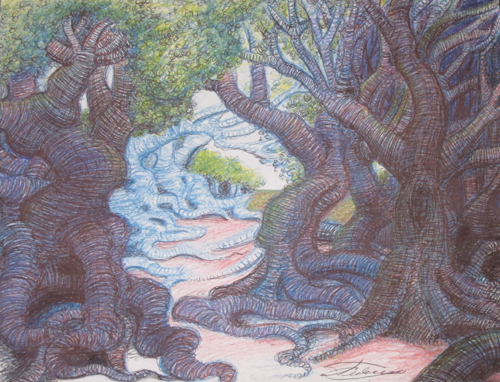 There are landscapes where the twisted tree trunks and roots are menacing. The work is powerful and, definitely, unsettling. Riera is trying to sustain the project and to make it grow. So far, there has been no money from the government and sales are irregular. There's hope, though. With President Barak Obama's impending visit, with Americans flooding Havana, and with growing global interest in Cuban art, perhaps this is the moment when those on the margin can be included; when their art can be understood for what it is, talent, not just therapeutic release.